My definition of a financial lead is a guy who’s looking to buy some kind of a financial instrument. It could be an IRA; it could be a mutual fund; it could be a money market, you know? Whatever. When we deal with people that are looking to financial advisors for assistance (people that are looking for a five-mile radius, so they only want investor leads in the one area code or in zip codes) – we usually can’t help. Our investment leads database consists of almost all accredited investors. And let me tell you – that list continues to shrink, big time! 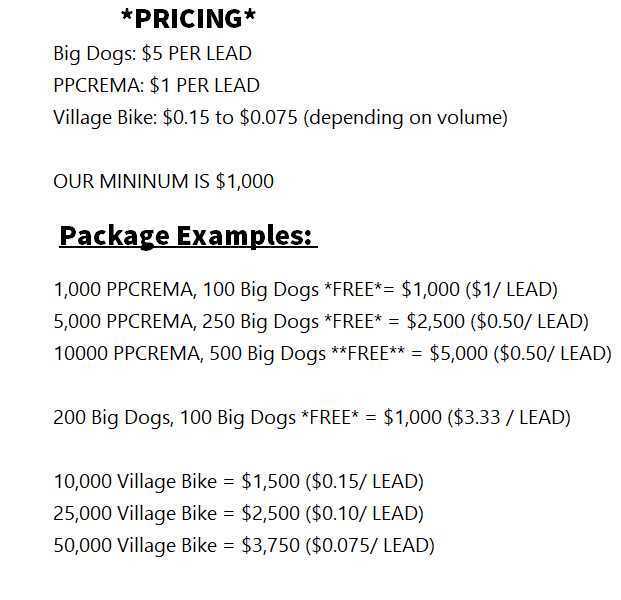 We have (maybe) 200,000 investor leads that are not what we call the village bike. These are people that are not getting beat up (aren’t getting hammered with calls over and over again). And the majority of those guys are accredited investors, so if you’re looking for financial leads or investor leads online (people that’ll invest) and the word “accredited” is not included in the search, you’re usually going to receive people that have less than $10,000, $15,000 or $20,000 to invest and (quite frankly) that’s not the kinda guys we like to sell. If You Don’t Make Money, We’re Not Gonna Make Money. The bottom line is we specialize in qualified accredited investors. So, if you’re looking for financial leads, understand if they’re coming from SalesLeads.tv, they’re gonna be accredited. If you’re looking for investor leads, they’re gonna be accredited. Therefore, a better keyword for you to use when you’re searching online for investor leads would be “accredited investor leads“. That’s the magic keyword and that’s what we provide here at SalesLeads.tv. If you have any questions or would like a free quote, give me a call at 561-981-8777. My name is John Fischer. You can also chat with me right here online.